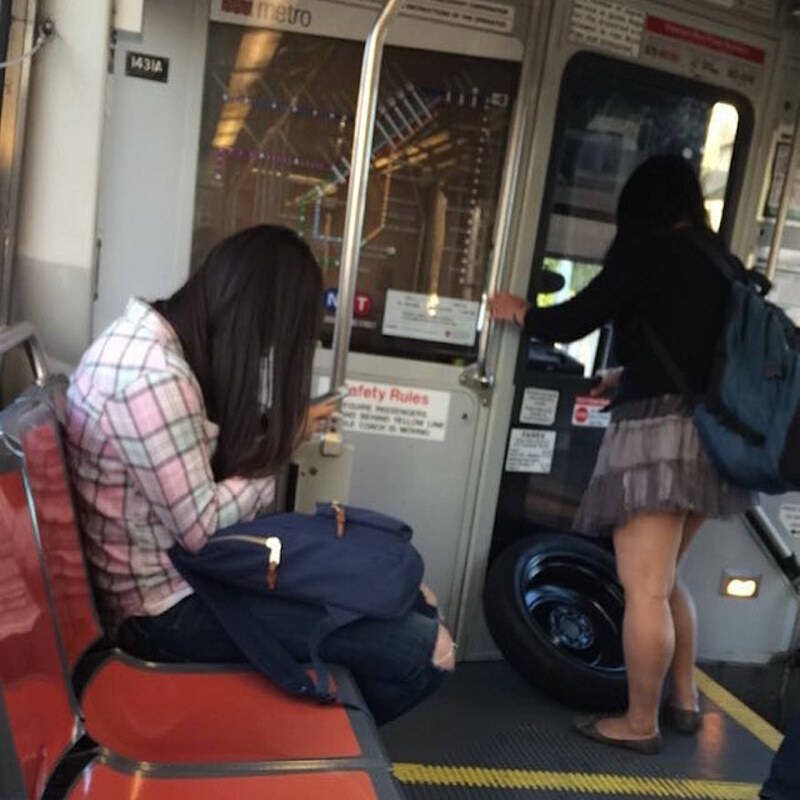 using muni, i once brought home a fullsized handtruck that i’d just bought at the hardware store. the driver wasn’t pleased, and felt it necessary to point out he wasn’t a freight service and that he could refuse me entry – which is true. but he let me ride anyhow. after that, i brought it onto muni and bart simply by disguising it it a wardrobe bag.